When it comes to growing corn, you want genetics and traits that produce high yields in your fields. No matter what soil types, weather conditions and pest pressures you encounter, there’s a Golden Harvest corn hybrid that’s right for you. 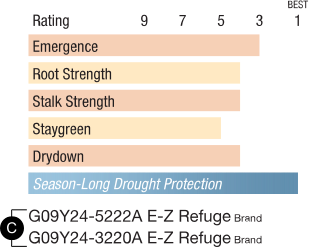 With its diverse portfolio, Golden Harvest corn seeds are bred to perform well in even the most difficult environments, and is even tougher when it comes to insect control, water optimization and herbicide tolerance thanks to Agrisure® traits and technologies. Our Golden Harvest Agronomy in Action sites provide the opportunity to see our corn hybrids in action. Visit throughout the growing season and see how the hybrids you have, or are considering planting, are progressing. You’ll also be able to talk with local representatives and agronomists about the best seed options and management practices for your corn fields. The next letter and two-digit number are designated to uniquely identify each genetic family. Trait versions available in this hybrid series. Download your local seed guide to find the corn hybrids best suited for your area. 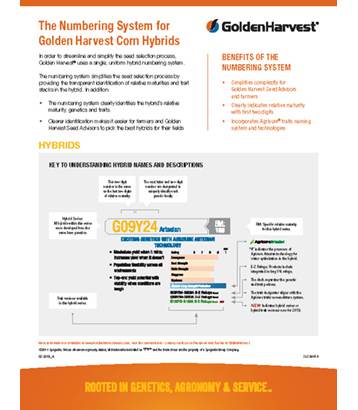 Learn more about the benefits of Golden Harvest hybrids with Agrisure Duracade trait stacks. Learn more about producing the best corn for livestock rations. Learn more about corn hybrid ratings in corn-on-corn fields. Learn more about the hybrid response to foliar corn fungicides. 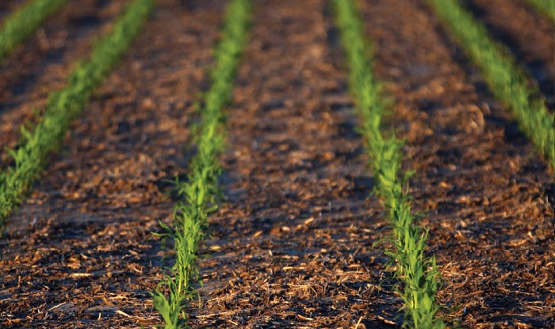 Learn more about corn hybrid response to nitrogen. 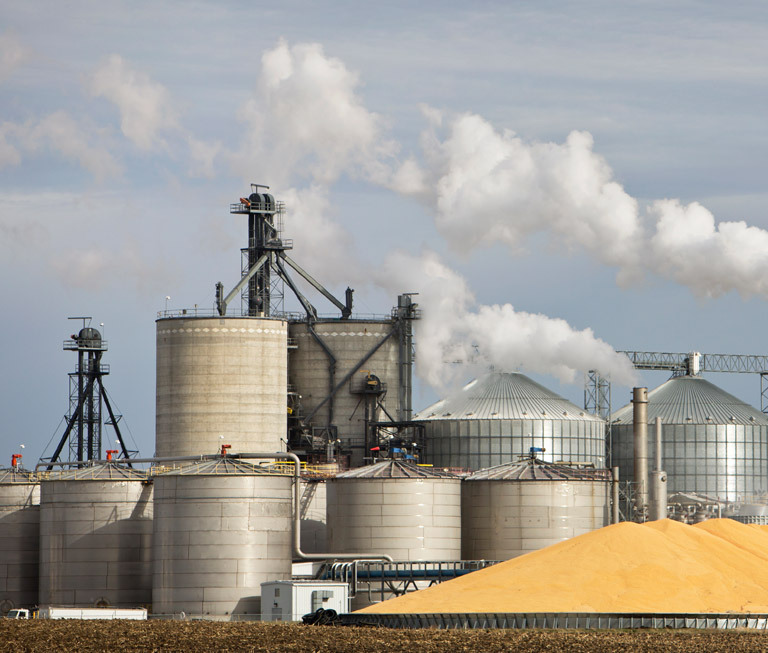 Learn more about producing corn for livestock, the ethanol industry and other grain end-use where grain quality can be just as important as grain yield. Learn more about hybrid ratings for silage corn. Find out about hybrid population response factors and optimum Golden Harvest corn rates. 15" 20" 22" 28" 30" 36" 38" 40"
With harvest behind you, it’s time to take what you’ve learned in the field this season and apply it. Setting your sights on the season ahead, there are many agronomic factors to consider. Check out our agronomy section for recommendations and resources to help you make smart decisions that will result in your strongest hybrid performance ever. I’ve been growing Golden Harvest corn for about eight years. The corn has done very well. Last year it came out of the ground well, especially considering the wet soils we dealt with. Plant health was good. If I were to tell another person about Golden Harvest hybrids, I’d say they stand with the best. I’ll plant 100% Golden Harvest corn every year until I’m proven wrong. My Golden Harvest Seed Advisor helps me match hybrids to my particular soil types. I appreciate that. I’ve been really happy over the years with the way Golden Harvest corn has stood up. We’ve definitely seen an increase in our average yield over the years. We’ve been really happy with the yields and quality of the corn. My Golden Harvest Seed Advisor recommended going with a new Golden Harvest hybrid last season. It was the right choice for our field. I would say it gave us equal if not even greater return on investment than other products we’ve planted. I most certainly plan to plant more Golden Harvest corn in the future. I plant 100% Golden Harvest corn. I appreciate working with local dealers who know me and my operation along with the Golden Harvest corn hybrids that work well in my fields. They have a strong lineup of products and you get a good return for the dollars you spend. I would definitely recommend Golden Harvest corn to other growers. Enogen corn enzyme technology helps support renewable fuels through an in-seed alpha amylase enzyme that enhances ethanol production. 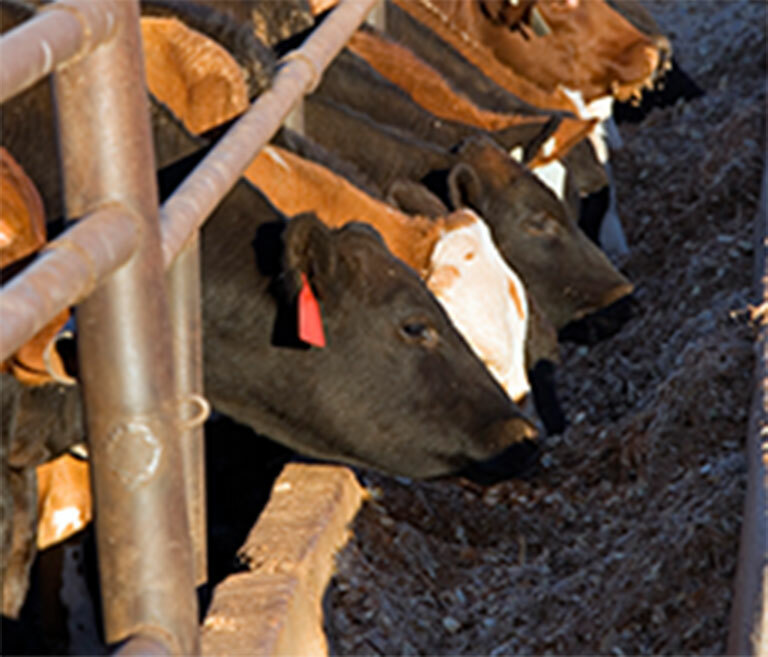 Enogen Feed increases the feed value of grain or silage in livestock rations by breaking down starch more efficiently for enhanced digestibility. 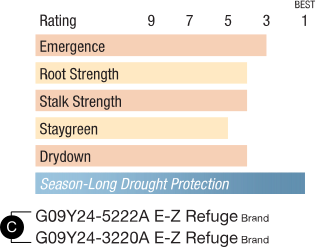 Golden Harvest hybrids perform to their maximum potential when yield-robbing, early-season pests are kept at bay. That’s why every corn seed is treated with Avicta® Complete Corn with Vibrance® nematicide/insecticide/fungicide seed treatment.